From birth, the urge to eat is the most common everyday experience. Eating to be nourished is the most basic behaviour of human life, and is one of the main functions in all living organisms. Clear answers to a number of important questions have only recently begun to emerge. Why are animals hungry? How are they driven to seek and eat selected foods? How do they become satiated so that they ingest the exact amount of food they need for growth and to maintain stable body weight in adulthood? 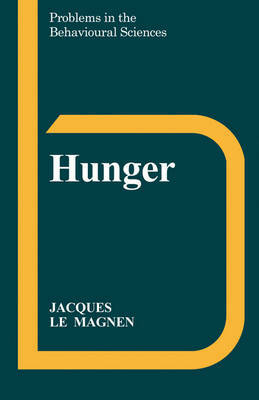 This book is the first synthesis, by one hand, of the new knowledge on feeding behaviour. It describes the roles of body depletion and repletion of energy and of specific nutrients, of the orosensory qualities of food and of the brain in integrating and interpreting internal and external signals. This volume complements that of B.J. & E.T. Rolls, Thirst, in the same series.